Why Can’t Bats Be Removed or Excluded During The Summer? 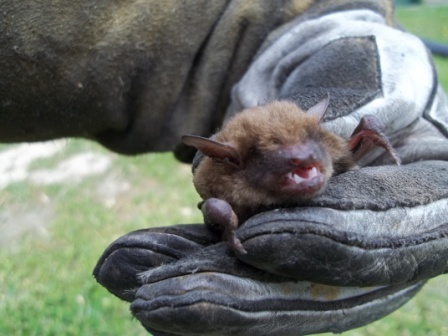 Tri-State Wildlife Management works year round helping people in the Northern Kentucky Cincinnati area who are experiencing bat issues with their home or business. Customers often ask, “Why can’t bats be removed or excluded during the summer?” First off this statement is not entirely true. 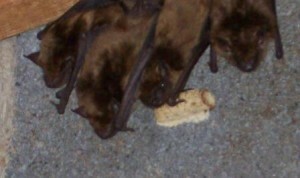 If a customer calls with a bat in their living space, we are permitted to remove the bat from the home and either release it outside, or in the case that it may have been in contact with a person and there is a risk of exposure to zoonotic diseases the bat could be submitted to the health department for rabies testing. 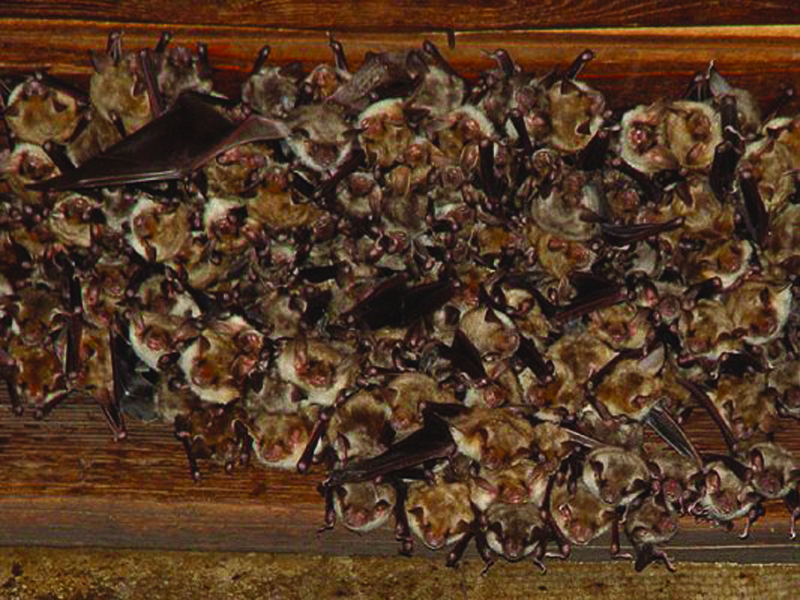 With that being said, bats roosting within a structure can not be excluded from a structure from mid May – Mid August because of the presence of pups. Local bats begin gathering in maternity colonies in late spring and usually give birth to 1-2 pups any time from mid May through mid July. During this time the mother will leave the colony at night to feed but return to nurse their young for the first three weeks of their life. After this time the pups will learn to fly and begin leaving at dusk to feed on insects. For this reason no one is permitted to exclude bats while young are still unable to fly. If a mother bat is unable to access a structure to get to her nursing pup she will exhaust all efforts to try to enter the structure. This includes attempting to access briefly opened doors and windows. In addition, leaving a flightless pup without access to its food source, its mother’s milk, is inhumane and would result in the pups death. Lastly, numerous bats are listed on state and federal endangered species lists, making it illegal to cause them harm and death, which a summer time exclusion would inherently do. Although we are unable to exclude bats during this time, Tri State Wildlife is permitted to begin the process, so that exclusion can take place as soon as the black out period is lifted. Our technicians will perform a thorough inspection of the structure, identifying all current and potential entry points. We can then begin preliminary sealing of the home, addressing all areas of potential future entry while still permitting the bats to access their current entry points. In addition, we can help identify at risk areas in the home that can reduce the likely hood of bats entering the living space of a home, for example blocking off knee wall and attic access. If you are experiencing a bat issue in your home, let us begin the process of remedying you issue today. Posted in Bats, Uncategorized | Comments Off on Why Can’t Bats Be Removed or Excluded During The Summer? Yesterday, across the United States we celebrated Memorial Day, remembering those who died while serving in our armed forces. Many of us gathered at parades and backyard cookouts enjoying the company of friends and family. It might have been the first time this season that you were outside your home at dusk or after dark and you may have noticed something unsettling coming from your house. What first may have appeared as a little shadow out of the corner of your eye, soon became evidence of bats exiting the far reaches of your home. As the realization sets in the inner voice inside your head starts screaming, “I have bats in my house!” Followed by unsettling thoughts of safety and cost. If this is something that you or someone you know has recently experienced give Tri State Wildlife a call. More often than not we are able to put your mind at ease regarding both the safety and the cost of your situation. Tri State Wildlife is a full service company. We can humanly eliminate bats from your home and also offer additional services for removing droppings left behind in attics or knee walls as well as re-insulation of contaminated areas (request a separate quote for such services). Excluding bats from your home is not something that a Do-It-Yourselfer should undertake. There are many series issues to consider when dealing with bats and your home. From a health stand point the risk of exposure to rabies from a bat scratch or bite has drastically increased over the past few years, with the number of bats testing positive for rabies increasing to 5-10%. In addition, particles from bat droppings can become airborne if mishandled, resulting in a histoplasmosis infection of your eyes or lungs. In addition, Tri State Wildlife technicians are trained to thoroughly inspect a structure to identify all current and potential entry points. If the potential entry points are not addressed prior to exclusion, the bats will use them to reenter the structure. DIYers as well as general contractors commonly use the wrong products when attempting to exclude bats from a home. Often times this adds additional cost to the homeowner when Tri State Wildlife’s technicians have to undo some of the “repairs” that were previously attempted to fixed the problem. Warm summer nights are filled with many magical qualities including cookouts, late night campfires, evening swims and chasing fireflies. If you’re observant enough you can also spot bats emerging around dusk to eat up all of the pesky insects that would otherwise ruin an enjoyable evening outdoors. As a general rule bats are very beneficial in controlling insects. Watching their fluttering dance through the sky is somewhat magical until you see them emerging from your home or other structure on your property. Even more unsettling is finding a bat flying within your home. Occasionally a bat will enter a home through an open window or door, however, more often than not finding a bat within a home is indication that that its roost is in close proximity or even within the structure. If you encounter a situation such as this, don’t hesitate to contact Tri State Wildlife, 859-635-0037, to help evaluate your situation and prevent contact with bats with rabies. 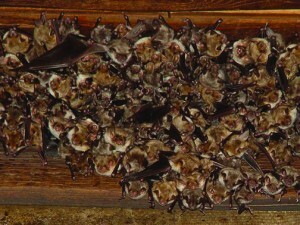 The greatest risk associated with bats in someones home is exposure to the rabies virus. Just this week a bat found in a Lexington home tested positive for the rabies virus. The health department quickly took action and posted signs in the neighborhood alerting residence to the discovery of bats with rabies, but also reminding residence to keep an eye on their pets and to have them up to date on their rabies vaccine. Rabies from bats is the most known source of human infection within the United States accounting for approximately 90% of rabies fatalities in recent years. 5-10% of Bats tested in the Northern Kentucky Cincinnati area have tested positive for rabies in recent years. Due to the fact that bats have tiny teeth and bat bites may be undetectable it is important to have any bat found in the room of a sleeping person, an unattended child or someone who is mentally impaired tested for the rabies virus. When dealing with such a situation it is best to contact someone trained in handling such situations, such as a nuisance wildlife control technician at Tri State Wildlife to locate and capture the bat. You should then contact your local health department to make arrangements for testing. -Wash the wound right away with soap and water for 10 minutes. -Call your health care provider or go to a hospital emergency room depending on the severity of the wound. If you seek medical care, the health care provider treating your injury is required to report the bite to the Health Department. 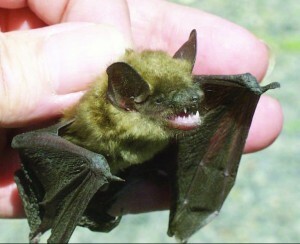 -If possible, confine the bat so it can be quarantined or tested. 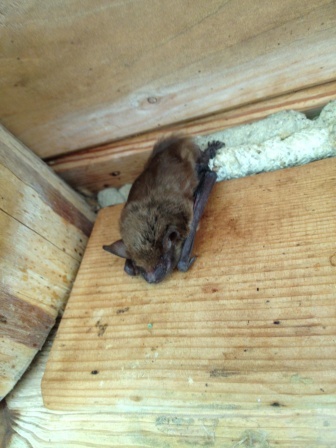 -Contact a trained nuisance wildlife professional to capture the bat . -If you did not seek medical care, contact the Health Department at 859-341-4151 as soon as possible so steps can be taken to quarantine the animal or submit it for testing if warranted. In addition to seeking help when a bat is found within the living space of a home, it is imperative to avoid contact with all bats especially those found in unusual places or during day light hours. Both of these situations are indicators of a sick bat. Just this past January a young boy in Florida past away from the rabies virus after being scratched by a sick bat and not seeking appropriate medical attention until symptoms developed.